Oil Pulling—Does it Live Up to the Hype? Annmarie Skin Care > Healthy Lifestyle > Oil Pulling—Does it Live Up to the Hype? Is it just us, or does it seem like oil pulling is the talk of the town, lately? It appears that this form of dental hygiene has become such a growing trend (even though it has been around for thousands of years) that we decided to share our two cents. Although many studies have shown positive results, there has been controversy over whether or not oil pulling actually works, due to a lack of scientific evidence. How about we cover the basics and you can formulate your own thoughts on this ancient ritual. Simply put, oil pulling consists of rinsing one’s mouth with oil in order to maintain proper dental hygiene and brighten those pearly whites. This is done by using the oil to “pull” out harmful bacteria and toxicity from the walls of the oral cavity. The practice of oil pulling is an ancient healing ritual, which traces its roots back to Ayurvedic medicine as a natural prevention of oral diseases. If you are unfamiliar with Ayurvedic medicine, here’s a fun little history lesson for you. Ayurveda (translated from Sanskrit: “the science of life”) is a natural, whole-body, healing system that originated in India some 3,000-5,000 years ago. The primary focus of Ayurvedic medicine is to promote good health, rather than treat illness. Not only is Ayurveda a form of holistic medicine, but it is also a way of life. Through nutrition, personal hygiene, exercise and other lifestyle factors, Ayurveda provides a gentle guidance and balance between the body, mind, spirit and environment. There’s so much more to this wise and ancient system, so feel free to do some research of your own to continue learning about it. You may find some useful information regarding your personal health goals. 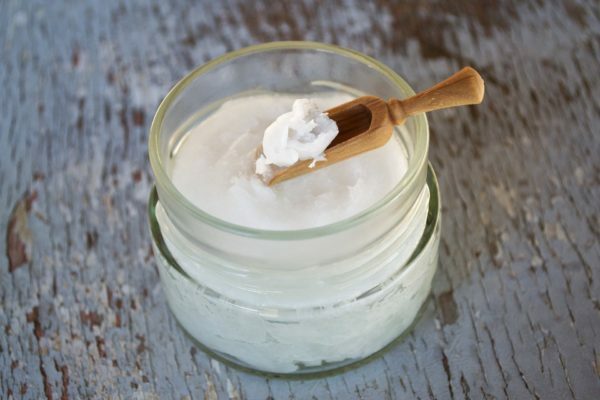 “As simple as it is, oil pulling has a very powerful detoxifying effect. Our mouths are the home to billions of bacteria, viruses, fungi and other parasites and their toxins. Candida and Streptococcus are common residents in our mouths. It is these types of germs and their toxic waste products that cause gum disease and tooth decay and contribute to many other health problems including arthritis and heart disease. Our immune system is constantly fighting these troublemakers. It is said that during the oil pulling process, the fatty membranes of the microorganisms in your mouth are attracted to the oil you are swishing, like a moth to a flame. As you swish the oil around, the unwanted bacteria is sucked out of all nooks and crannies in your mouth to adhere to the oil, which you then spit out. Sounds attractive, doesn’t it? It is best to oil pull daily, in the morning before eating breakfast. If you feel that your dental hygiene is in need of extra love and care, you may oil pull up to three times daily, before each meal. Place ½ – 1 tablespoon of sesame oil, sunflower oil or coconut oil in your mouth. You may alternate between oils to receive the nutritional benefits from each. 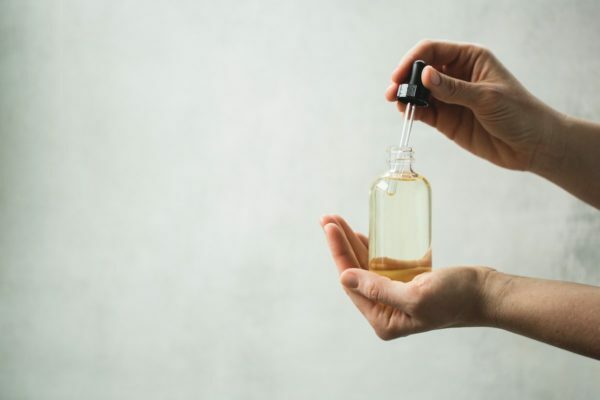 Just be sure to use cold pressed and organic oils and steer clear of processed oil, as the refinement process damages the quality of the oil. Also, feel free to add a couple of drops of oregano oil or peppermint oil (and peppermint will leave your mouth feeling extra fresh). Swish around your mouth and through your teeth for 10-20 minutes. It may feel a bit strange at first, but after doing it a few times, you’ll become a total pro. Just try to have fun with it! Enjoy the feeling of cleansing, take deep breaths through your nose, relax and meditate to the lovely sound of silence. Spit the oil outside, in the trash or in your compost. Avoid spitting the oil out in the sink in order to prevent the pipes from clogging (the oils can solidify at room temperature). The oil should look milky white when spit out. Also, be careful not to swallow the oil as it contains bacteria and toxins which you want to avoid putting back into your body. Ick! If at any point you feel the need to swallow while swishing the oil in your mouth, simply spit it out and start again. Rinse your mouth with warm water and spit. You may also rinse using salt water, as it acts as an antimicrobial. Finish with brushing your teeth and flossing. Just to make sure that any remaining bacteria is removed. Voila! Now you can start flashing bright smile and feel proud for taking extra care of your oral health! While more clinical studies could be done on oil pulling, it doesn’t hurt to give it a try and see if you notice a difference in your oral health, or in your overall health. After all, if a method such this has been around for thousands of years, there must be something to it, right? “When done correctly, oil pulling has a significant cleansing, detoxifying and healing affect, not only for your mouth and sinuses but for the rest of your body as well. Candida and Streptococcus are common residents in your mouth, and these germs and their toxic waste products can contribute to plaque accumulation and tooth decay, in addition to secondary infections and chronic inflammation throughout your body. “I have been able to find only one scientific study on oil pulling. The study was designed to evaluate the effect of oil pulling on bacteria (Streptococcus mutans) in plaque and saliva of children, and to compare its antiseptic power with that of using a conventional mouthwash containing chlorhexidine. Whether you are a believer or total skeptic, there is no harm done in swishing oil around in your mouth for a few minutes if that means it may possibly improve your health. Meanwhile, you can do something else, like make breakfast, wash those piled up dishes, or take care of your morning routine. Try it out for a few weeks and see how you feel! There are questions as to whether it is safe to oil pull, especially while pregnant or if one has metal fillings in their mouth. Most sources do claim that oil pulling is completely harmless and much safer than using a chemically ridden mouthwash. If you have any questions or concerns however, feel free to check with your doctor, naturopath, midwife, dentist, etc. It has been said that oil pulling “may” cause a detox reaction the first few times it is practiced. This reaction may include headaches, congestion, or tooth sensitivity. If any of these reactions occur, just know that it is perfectly normal and will disappear after a few days. Have you tried oil pulling? Feel free to share your experiences with us! We’d love to hear from you. I’ve been using oil pulling over the last month regularly and I definitely noticed whiter teeth. Before this I also used it if I had a cold coming on to nip it in the bud. I’m a definite fan of this. How do you use it for a cold? I love oil pulling and have been doing it pretty much daily, for a couple of years now. I use organic coconut oil since it has so many health benefits. After a couple of months I noticed my teeth looked whiter (and I was coffee drinker when I first started oil pulling.) I was really convinced it was working when I went to the dentist for a cleaning and she commented that I hardly had any plaque build up and my teeth and gums looked healthy! (And it had been more than 6 months since my last visit!). I usually do my morning routine of feeding cats, making lunch, etc. and the 10 – 15 minutes goes by very quickly.